It’s even better this year! Save up those vacation days because the Mountain Collective pass is even better than in previous years. The pass pays for itself after about 4 days since you get 2 free days of skiing or riding at 16 destinations around the world. You’ll have a tough time choosing where to go first: Revelstoke with the biggest vertical at 5,620 feet or Squaw Valley, home to 2 winter olympics or Banff Sunshine, 3 massive mountains on the Continental Divide in the heart of Banff National Park. There are no blackout days and after the 2 free days, you get unlimited 50% off single day lift tickets at all 16 Collective Destinations. Wait, there’s more! Enjoy lodging discounts at Collective Destinations and 2 days of lift tickets at Global Affiliate Destinations: Chamonix (France), Hakuba Valley (Japan), Niseko United (Japan), and Valle Nevado (Chile). 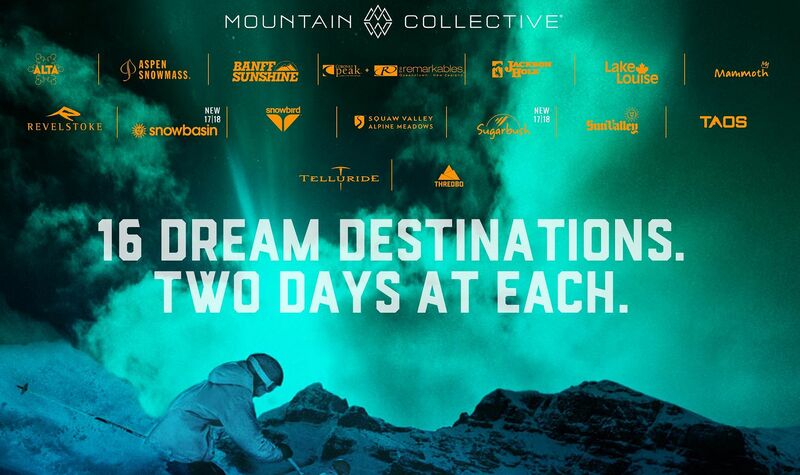 If you love skiing or riding, then Mountain Collective is the best deal around!